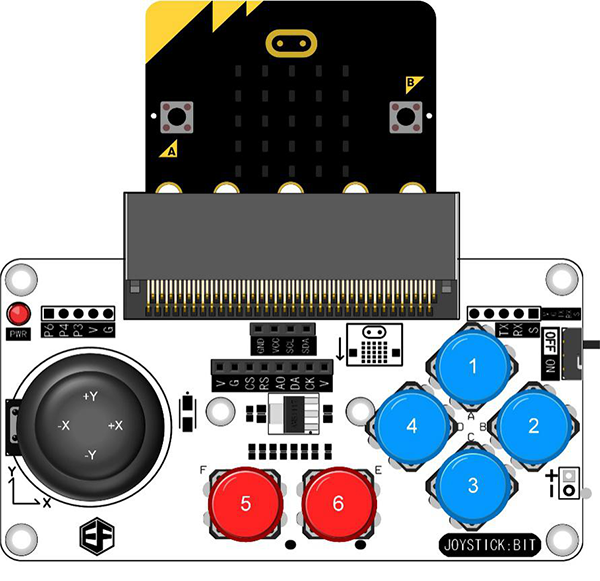 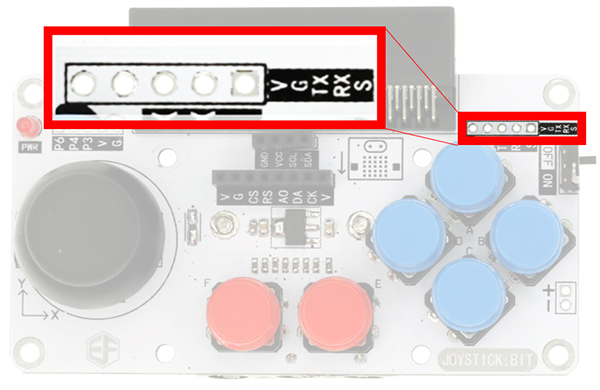 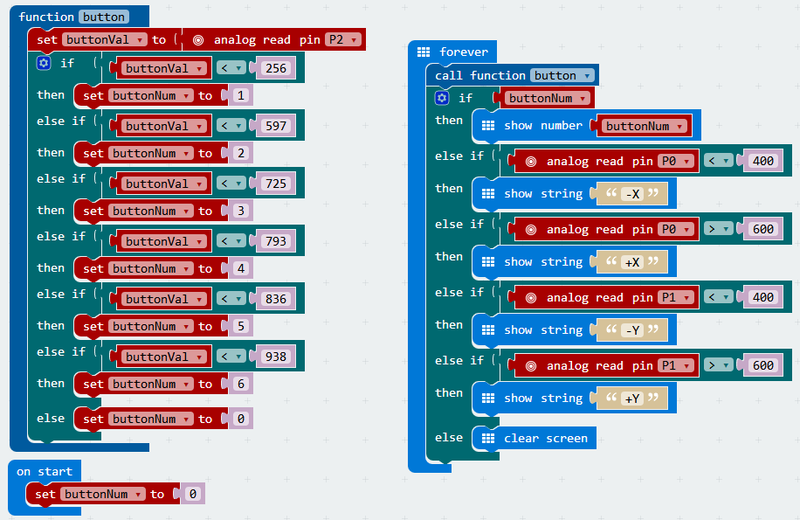 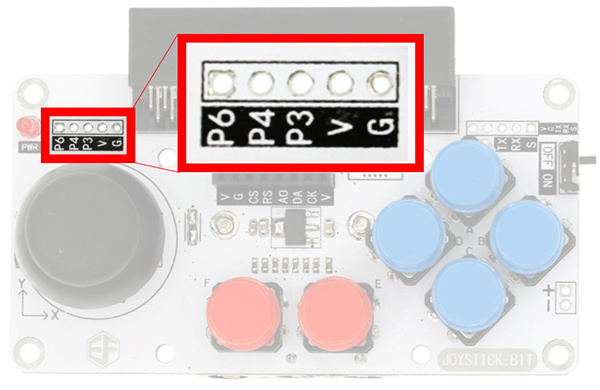 Joystick:bit is a game joystick based on Micro:bit. 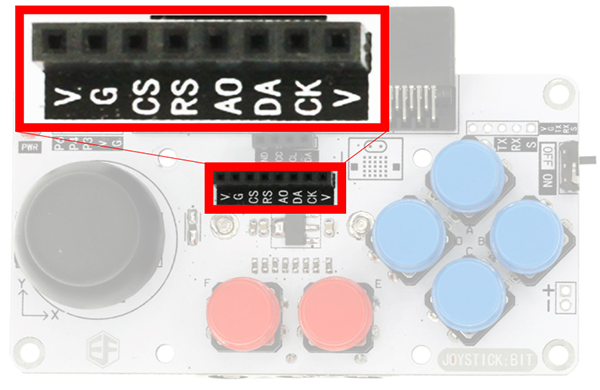 On the board, it has an integrated joystick and 6 undefined keys. 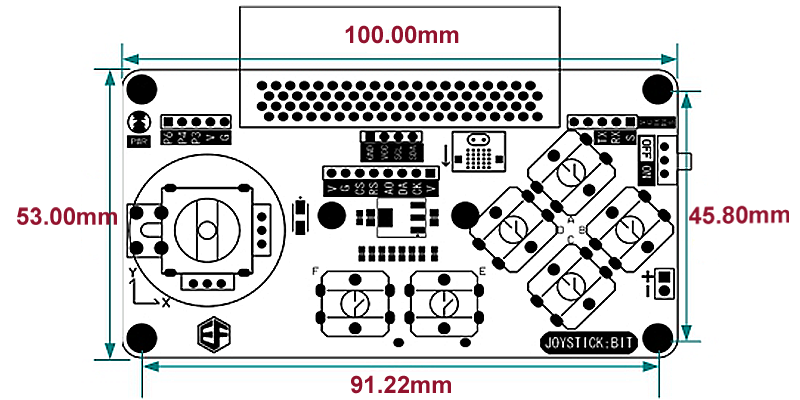 For further future expansion, it has connectors for GVS, I2C, SPI, & UART. 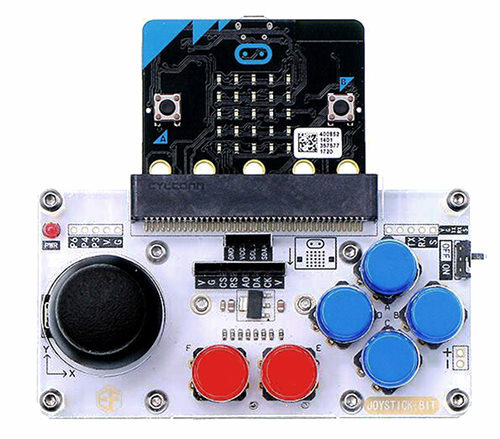 With a built-in power switch and external power connector, its a JOY to use. 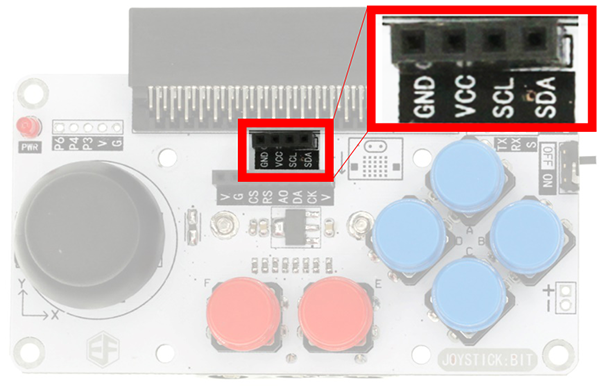 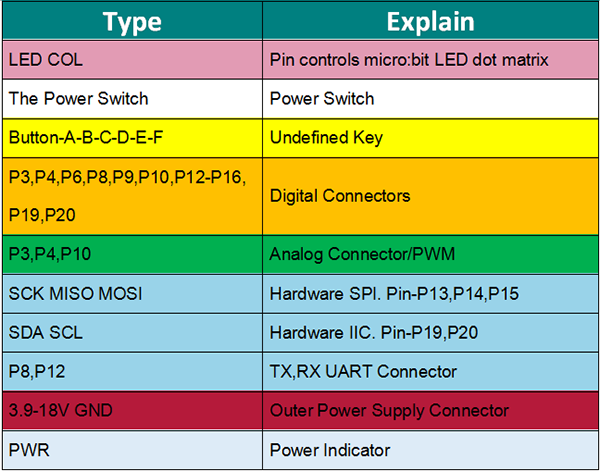 Support the extension of I2C module. 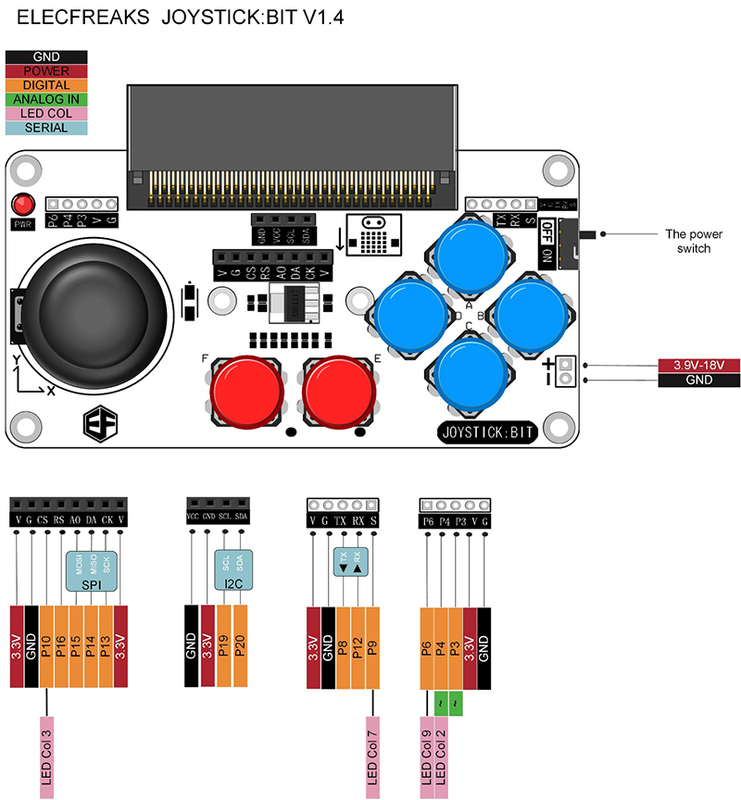 Remote control smart cars, other micro:bit projects.